Hiya, I'm Lynn and I'm lucky enough to be a ski instructor! 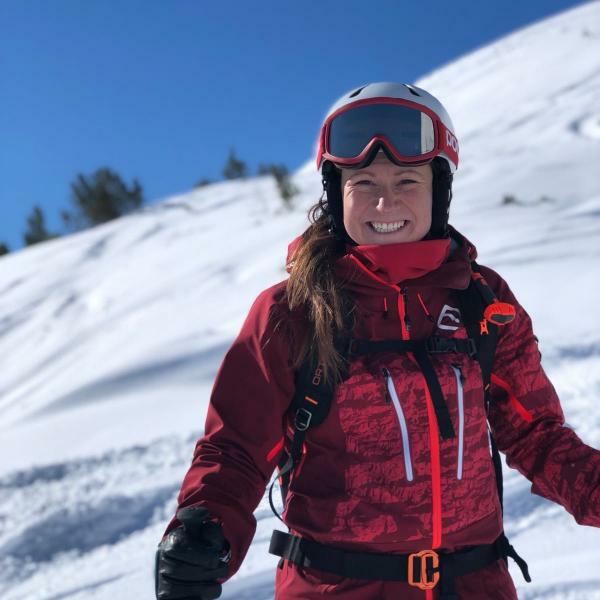 I use a no-stress, supportive approach to beginners, choose the right slopes to develop skiing skills or can take you off-piste to discover my favourite playground of the Espace Killy and we'll learn how to respect the mountain and be safe. I have a lot of experience of working with children and have great fun making sure I get the balance of fun and learning just right to keep them hooked on skiing. All while being inspired by the panoramic views of the French Alps! I represented Great Britain internationally as a member of the British Senior Ski Team for 6 years, winning 17 British titles including British Overall Ladies Champion. I went on to spend 4 years as the Head Race Coach of the British Ski Academy in Chamonix and won the UKCP Children's Coach of the Year in 2011 for my coaching of British teens. I completed my BASI ISTD and French Equivalence to move to instruct in Val d'Isere, which I have done for the past 7 years. I am now a trainer and examiner for the British Association of Snowsports Instructors and during the off season I work as a development coach for British Parasnowsport. As a private instructor, I have a lot of flexibility to tailor your session exactly to your needs - hourly rates, corporate lessons and other tailor made lesson schedules and prices are all available upon request.